British businesses are beginning to wake up and smell the benefits of making the transition to renewable energy sources and energy efficiency. Some businesses have even gone as far as to make a public commitment to becoming 100% renewable in order to aid the UK in reaching testing climate change targets and save their business from impending energy poverty. We are all aware that there’s a limited supply of fossil fuels and crude oil left on the planet. The more limited this resource becomes, the higher the cost will be – and the more issues it will cause. It’s estimated that, at current rates of production, oil will run out in 53 years, natural gas in 54, and coal in 110. These fuels took over 66 million years to form and we have consumed them in less than 200 years. This suggests that fossil fuels are unlikely to make a comeback and business energy prices for this fuel type are most definitely going to increase for those who aren’t prepared to transition to renewable energy sources. This is why businesses are beginning to prepare for the transition to renewable energy sources now, as the havoc that being unprepared would cause has the potential to destroy not just our businesses, but our way of life. Which British Businesses are making the transition to renewable energy sources? British Land is a UK business making the transition to renewable energy sources. 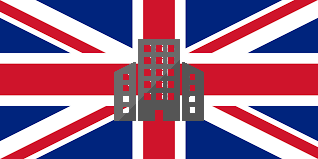 They are a London based property investment company who focus on commercial properties. In 2016, British Land finished the biggest installation of the solar PV in a UK shopping centre EVER! 98% of the electricity used to power British Land’s offices and shopping centres comes from renewable sources. They are aiming to make the transition to renewable energy sources for the final 2% to renewable power by 2019. BT are making the transition to renewable energy sources with great success. They have been ranked as Carbon Clears number one FTSE 100 company for carbon and sustainability reporting for the third year in a row. BT intends on making the transition to renewable energy sources to all of its premises’ worldwide! This company puts sustainability at the centre of operations, and by 2020 they hope to use only 100% renewable electricity globally. Land Securities is a large UK commercial property developer. This company aims to become a sustainability leader and is committed to purchasing 100% of its electricity from renewable sources as they recognise the importance of making the transition to renewable energy sources. Sky is one of the businesses leading the way to a renewable future as they already secure most of the electricity that they use from renewable sources of power. Being a leader in environmental issues is key to Sky’s business development strategy and they have been working on it for quite some time. TEN YEARS in fact! In 2006 Sky was the first media company to go carbon neutral. How do I make the transition to 100% renewable energy sources for my business? Setting aside recycling, consumption reduction techniques and green equipment purchases, there are a couple of options available to your business for how to make the transition to renewable energy sources. These options focus on your supplier choices and energy procurement. There are funding opportunities available to those who wish to use solar power, biomass boilers and other on-site renewable energy generation tools. In some cases, installing your own renewable energy generation equipment can result in you becoming applicable for pay-outs for the energy that you generate and do not use. To discover more about green energy equipment installation and begin your transition to renewable energy sources, call 0161 696 0198. At Exchange Utility we can compare a variety of green UK energy suppliers and find you a fantastic deal that benefits both your business and the environment. The fuel mix for each of our suppliers is slightly different, so we’ve made the below energy supplier table, which includes the UK’s average figures as a comparative. A fuel mix is the percentages of the different types of energy that makes up each supplier’s generation. As you can see in the table below, all except two of Exchange Utilities suppliers are above average in the amount of energy that they generate via renewables.